Logitech on Tuesday took the wraps off of the latest addition to its Harmony intelligent remote control lineup: a Bluetooth-enabled keyboard with integrated touchpad, compatible with a plethora of living room devices, including the Apple TV. 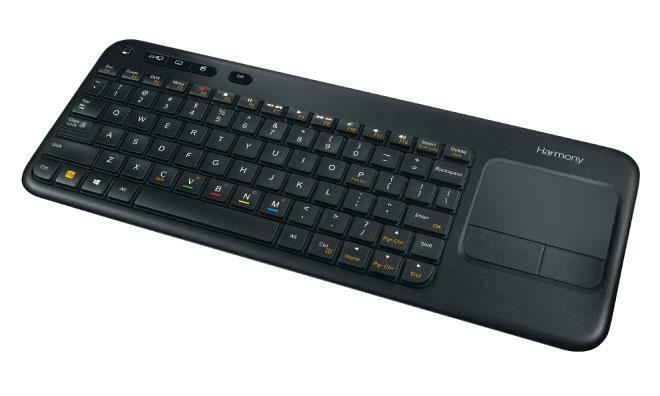 Morges, Switzerland-based Logitech says the keyboard is designed as a way to speed up text entry and navigation on set-top devices, though the peripheral also features dedicated buttons for media controls like play and pause. Consumers who connect a Mac to their television can also make use of the integrated touchpad in lieu of a separate mouse or Magic Trackpad. "Internet-connected and streaming-media devices seem to deliver limitless entertainment options, however their accompanying remotes struggle to keep up with the text entry needed to search for selections," Logitech marketing executive Chad Thompson said in a release. "Our goal with the Logitech Harmony Smart Keyboard is to unite Logitech's expertise in both universal remotes and keyboards to provide a fast and simple way to search for and navigate through the vast content options available through the living room's entertainment devices." 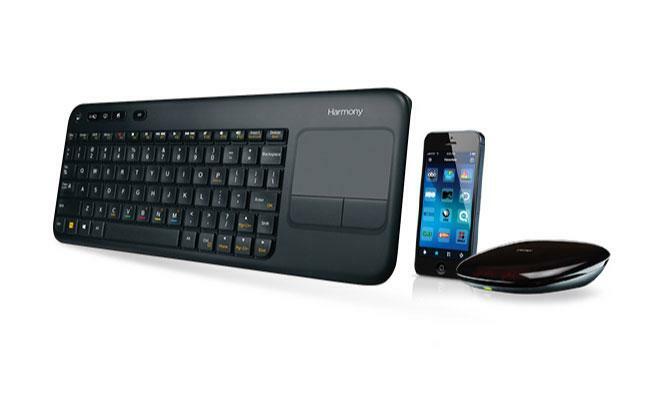 According to Logitech, the Harmony Smart Keyboard will work with more than 225,000 home-entertainment devices from over 5,000 brands. That includes game consoles like Microsoft's Xbox and Sony's PlayStation, for which the keyboard includes special navigation buttons. The keyboard comes packaged with a radio frequency and infrared extender so that devices can be reached even when they are behind closed cabinet doors. Users can also control devices and setup the keyboard through Logitech's Harmony app for iOS. The $149.99 Harmony Smart Keyboard is available now for preorder from Logitech's website, and the company expects to start shipping later this month.